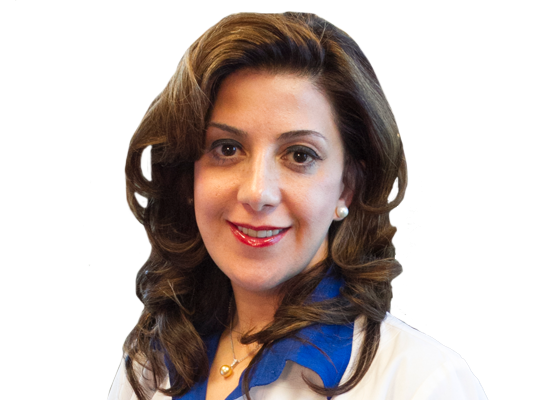 Dr. Zahra Ghiasi is a Board Certified Eye Physician and Surgeon and Glaucoma Specialist. With twenty years of experience and education in Medical and Surgical Ophthalmology, Dr. Ghiasi is one of only a few Glaucoma sub-specialists practicing in Irvine, California. She attend medical school at age 17 and graduated at the top of her class, received the honorable President's Award, she completed her internship at Yale's Medical School, and residency program at Texas Tech. She further advanced her skills in Glaucoma treatment through fellowship training at Doheny Eye Institute at Keck School of Medicine, University of Southern California. Having performed Over thousands of eye surgeries, Dr. Ghiasi is recognized as one of the most exceptional and experienced Ophthalmic Surgeons. Having acquired the most advanced Ophthalmology training, skills and knowledge, Dr. Ghiasi, offers superior eye care for patients of all ages. Dr. Ghiasi utilizes the most recent, state-of-the-art technology to provide comprehensive eye care, including complete eye examinations, Latest in Cataract surgery with suture less technique and use of toric intraocular lens to correct astigmatism and multifocal/ accommodative (crystalens) intraocular lenses to correct presbyopia, Advanced in glaucoma management with use of latest laser procedures and surgical techniques, latest treatments for dry eye and ocular surface diseases; Pterygium surgery with suture less techniques using amniotic membrane and tissue glue. Dr. Ghiasi performs all eye care for patients of every age. At the Advanced Eye Care and Glaucoma Center, she provides early diagnoses and prevention of all eye problems and diseases, including advanced Glaucoma, early detection of Diabetes, Macular Degeneration, Hypertensive Retinopathy, Eye lids and ocular surface disease and all range of eye emergencies. Dr. Ghiasi and her caring staff cultivate a warm, nurturing environment, where every patient receives attention, one-on-one eye care. To learn more about Dr. Ghiasi, or to schedule a consultation, visit www.drghiasimd.com or call (949) 777-5970. Are you a patient of Dr. Zahra Ghiasi? Login to your Who Is Who account and share your experience with Dr. Zahra Ghiasi. It takes seconds to register. Start your FREE account today and share your expereince with Dr. Zahra Ghiasi.